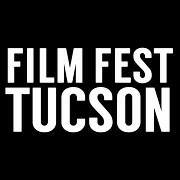 13th Annual Tucson Film Fest, October 5 to 8 at UA Gallagher Theater, 1303 E. University Blvd. ; El Con Theater, 3601 E. Broadway Blvd; and the Loft Cinema, 3233 E. Speedway Blvd. 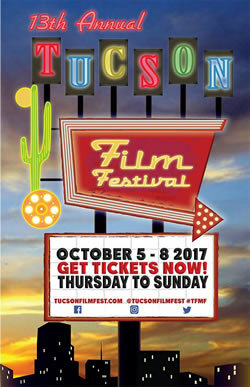 Website: www.tucsonfilmfest.com. Tickets are mostly $8, with an all festival badge at $45. Then there’s the Film Fest Tucson on October 19 to 22 mostly at the Scottish Rite Temple, 160 S. Scott Ave. Two free outdoor screenings at 7 p.m. will be held on October 20 at Children’s Museum Tucson (“The Incredible Shrinking Man”), and October 21 the Scottish Rite Temple’s parking lot (“The Outsiders”). 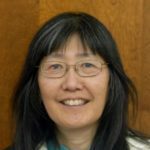 View full schedule here: http://filmfesttucson.com/wp-content/uploads/2017/09/Screening-Schedule-2017-NEW.pdf. My husband and I went to see the outdoor film “The Outsiders” in the south parking lot of the Scottish Rite Temple for this Film Fest Tucson. It’s a 1983 coming of age movie of two gangs “The Greasers” (northside poor boys) versus “The Socs” (southside rich boys), a typical town vs. gown movie. Much younger days for famous actors Patrick Swayze (now deceased), Matt Damon, Rob Lowe, Tom Cruise, Emilio Estevez, Ralph Macchio, Diane Lane…with a lot of male bonding drama, gang fighting, pathos.